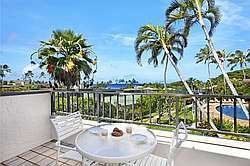 This one-bedroom loft condo boasts over 1,000 square feet of living space, two private lanais, and a wonderful tropical garden view. 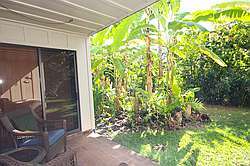 This second floor, non-smoking, fully remodeled 1 bedroom/1 bath condo is about 900 square feet and offers all the conveniences of home. 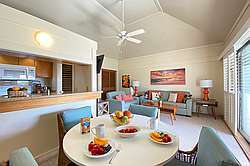 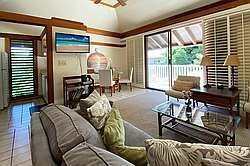 The spacious bedroom includes a newer king size bed with a new wall mounted TV, along with a walk-in closet. 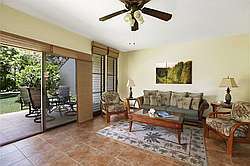 This 1 bedroom/1 bath unit offers a newly remodeled granite kitchen and bathroom. 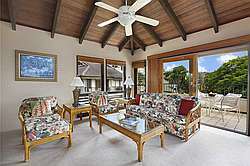 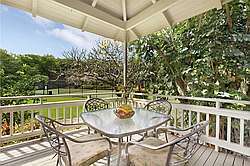 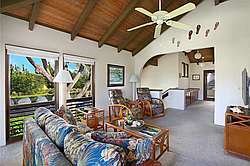 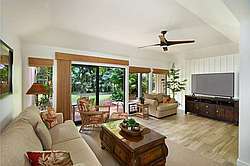 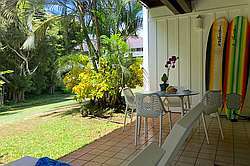 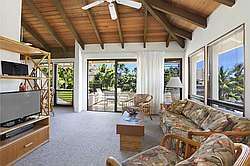 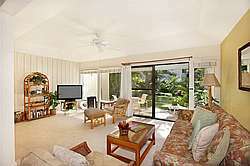 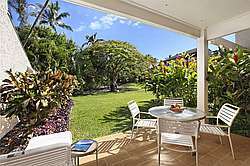 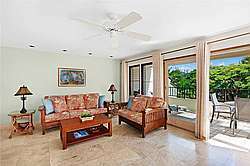 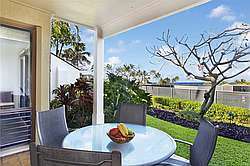 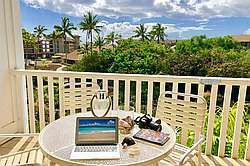 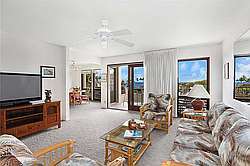 This 2nd story location is nestled in a tropical paradise and you have a gorgeous view of the surrounding gardens. 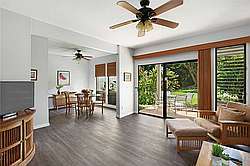 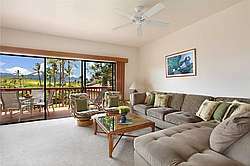 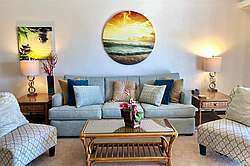 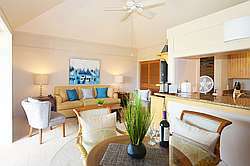 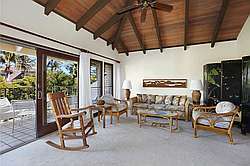 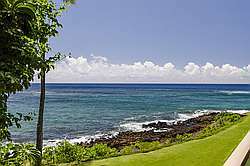 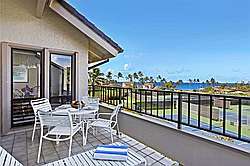 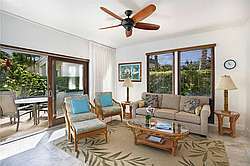 The ideal location of Manualoha 1002 brings you easy and beautiful access to all of Poipu Kai and what it has to offer. 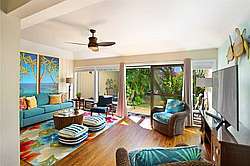 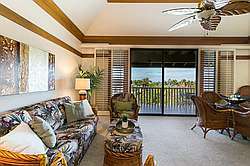 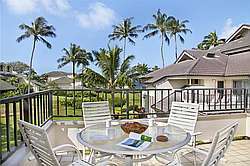 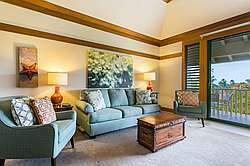 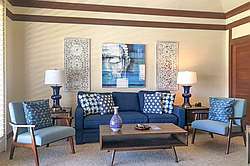 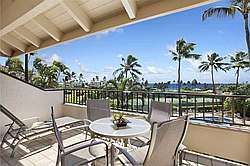 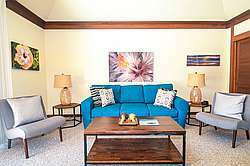 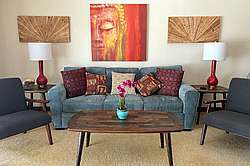 This island condo in Poipu will feel like your home away from home. 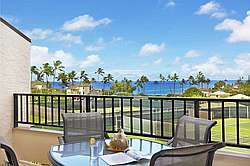 With a location in Building 8 at the top of the Nihi Kai property, you'll be perfectly poised to soak up unparalleled sunsets every night and Hawaii's rich shades of blue every morning. 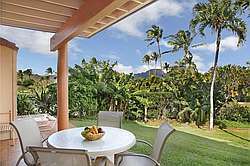 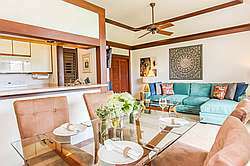 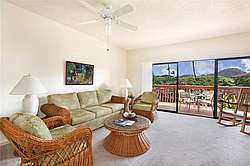 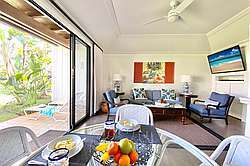 Seated among a lush tropical setting with beautiful brightly colored birds, tropical foliage, and majestic Polynesian mountain views, this cozy 1700 square foot two-bedroom condo can be candidly described as a hidden gem in paradise! 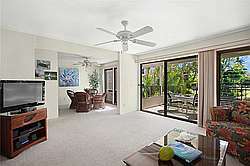 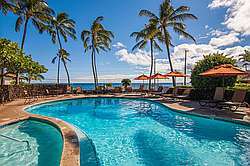 Ground floor 1bd condo in awesome Poipu location-On site pool and bbq.